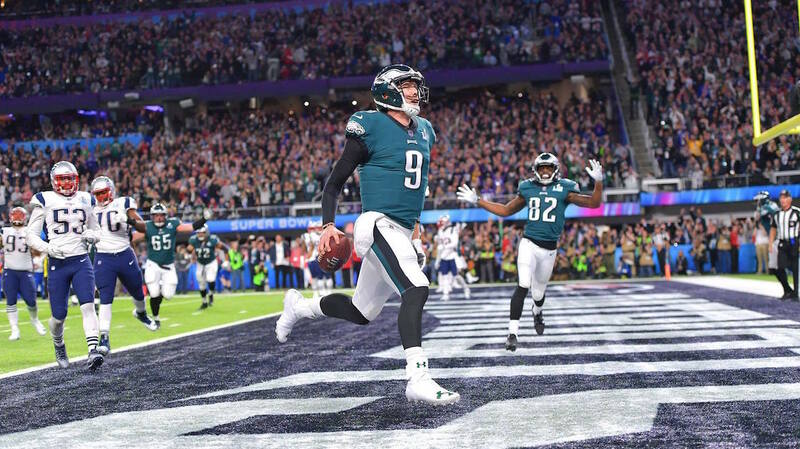 The Philadelphia Eagles beat the New England Patriots in the Super Bowl, and they did so by making better decisions with data. The Eagles bucked conventional wisdom on strategy by using data to find out which moves would help increase its win percentage. Now, Xensr wants to help football teams to do the same in player management with its new Konect Sports platform. It works like this: Each player on the field puts on a sensor, which is placed either on their chest via a compression shirt or in their shoulder pads. The sensor then goes on to track the players performance during a game - though that's just part of the story. "During the Super Bowl, mounted on every player, we would collect a billion data points," Xensr CEO David Troup told Wareable. "That's only a third of the data we collect. The other third would be the training facility and the second third would be in the weight room." The Konect Sports platform and sensor bring context into the equation, and change what's being sensed depending on the situation. In games, it tracks game data and performance; in the training center, it brings in things like heart rate data and ECG; and in the weight room, it looks for effort and stress. "We know every weight training station and conditioning station that the athlete is at," Troup says. "We know how much effort they're exerting in bench presses and leg presses and on and on and on." It also adds in other data points, including the weather. If it's too hot, the underlying AI knows that a player might need more rest because they're overexerting themselves. Or maybe it's too cold and the player is exposed to frigid temperatures for too long. There are also a number of subjective data points, like how the athlete is feeling, how much sleep they're getting and what they're eating. All of this data is boiled down to a single numerical score called the Konectensity Score. This score can tell coaches, trainers, nutritionists and team doctors whether a player is trending up or down. If the coach needs more information, they can burrow down into the data to identify what's affecting the player's performance. For instance, a nutritionist could look at a Konectensity Score that's trending downward and find out that their heart rate is down, they're feeling sore and determine that an illness is on the way. They could then punch up the athlete's diet with some extra oomph. The system can also use these same data points to flag injuries, alerting staff that someone needs an extra look. While Konect doesn't outright say a player has a pulled hamstring or a concussion, it can categorize things. For instance, it can say a player has experienced too many impacts or that their reaction time has slowed down and that there's an anomaly that needs to be looked at. It's not all about managing players though; the system can be used to improve performance on the field. Troup says the company views existing reflexive training machines, which use lights that players have to tap rapidly, as "archaic." Xensr's system instead puts players in actual football positions, and then has them quickly jumping around in various maneuvers. So the players, instead of trying to ramp up reaction time by tapping lights, are trying to ramp up the time it takes to go from one position to the next. Troup says this method is a "magnitude" of an improvement over the other system. Konect Sports will begin to roll customer trials and the high school combine this spring, and is expected to ship in August. The college product will also have API access to team data in an effort to allow computer science majors to get real-world access and experience working with big data (and get them involved with team sports). While Konect Sports was a part of the NFL's 1st and Future technology pitch competition to improve safety and performance for NFL athletes, Troup is unclear when its system will be fully ready to use and deploy for NFL teams. However, it's looking to bring the Konect Sports platform to other sports, including basketball, baseball and soccer. The company is also looking to debut an individual version that's not tied to team sports.